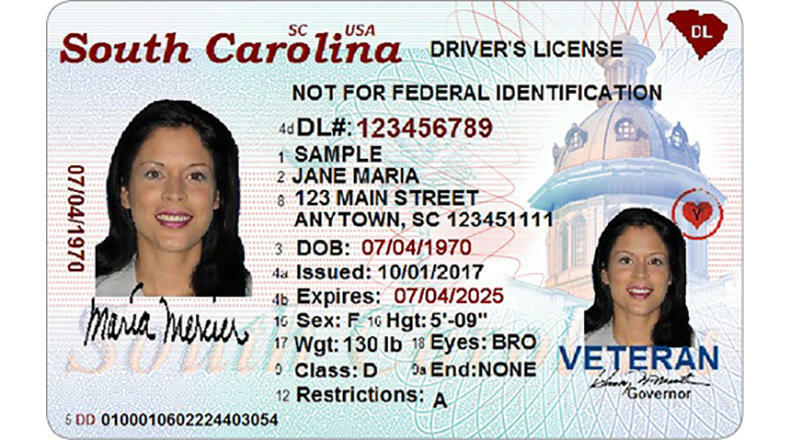 This is the way the new Real I.D.s will look when they are available to South Carolinians between the end of the first quarter of 2018 and Oct. 1, 2020. The gold star in the upper right corner denotes the card as a Real I.D. 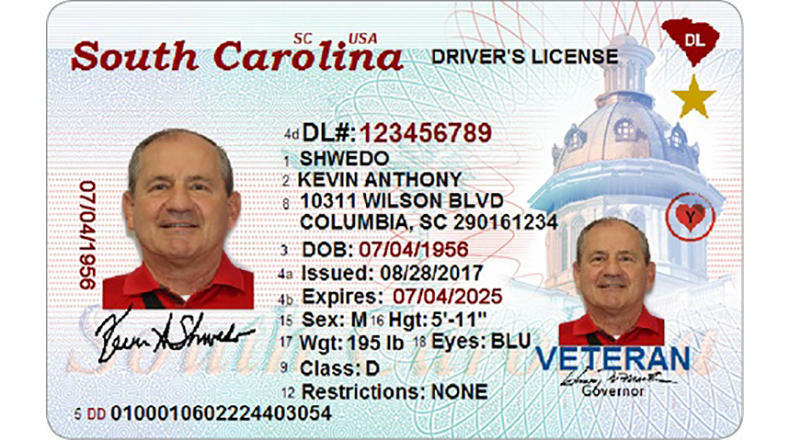 This example shows a regular, or non-compliant, drivers license. It has no gold star and bears the phrase, "not for federal identification." The non-compliant I.D. can still be used after 2020 if one never plans to board a plane, visit a secure federal building or a military installation. S.C. Dept. of Motor Vehicles spokeswoman Lauren Phillips and Fort Jackson Director of Emergency Services Col. Johnny Sellers talk about what documentation a citizen needs to obtain the Real I.D., and what can be used to supplement a "non-compliant," or regular, identification card, in order to conduct federal business until he or she can obtain a Real I.D. Phillips says the I.D.s should be available after the first quarter of 2018, during which time they will be printed.